Caséta Wireless is made up of dimmers, a remote control, a bridge, and an app. 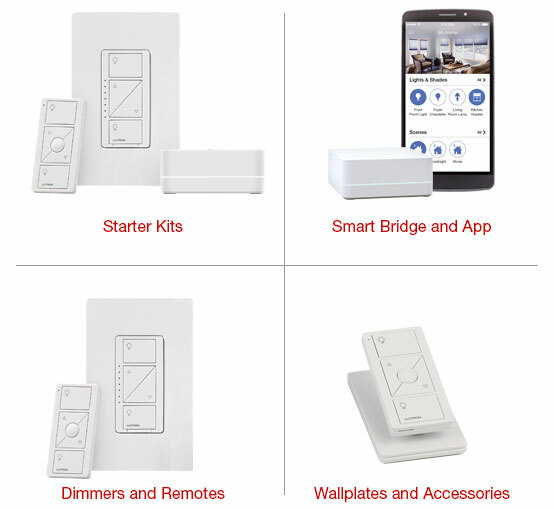 You can build your smart lighting system with as few or as many products as you’d like. A kit is the easiest way to begin, but you can also purchase products individually and mix and match them. And you can add more products to your system at any time.